Utah Geological Survey researcher Ryhan Sempler collects water quality data at Clay Springs in Snake Valley while curious horses look on. 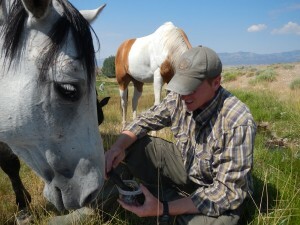 In addition to supporting domestic and wild horses, wetlands in Snake Valley are home to two habitat-restricted species of concern, least chub and Columbia spotted frog, and over 20 species of snail found nowhere else in the world. Utah lost approximately 30% of its wetland acreage from the late 1700s to the 1980s. Many wetlands in the state continue to be at risk due to human-caused disturbances. 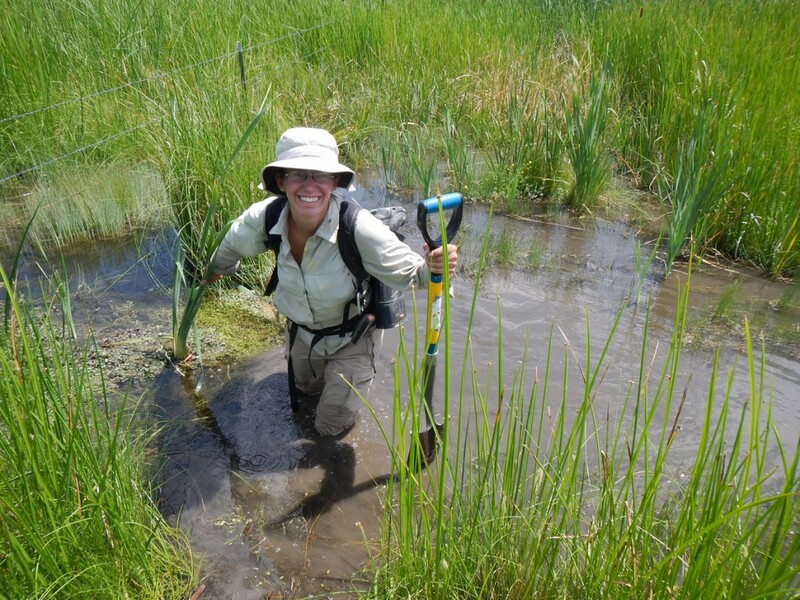 Monitoring and assessment data are vital for understanding Utah’s wetlands and supporting more focused conservation efforts by land managers. Monitoring and assessment are core elements suggested by the Environmental Protection Agency (EPA) for the development and implementation of state and tribal wetland programs. The EPA suggests a three-tiered structure for monitoring and assessment activities. Level 1 represents landscape-scale assessments. These assessments are typically implemented at the watershed scale using GIS and remotely sensed data to evaluate the condition and distribution of wetland resources. Level 2 represents rapid site assessments that are used to provide a general understanding of the condition or function in a wetland using simple, observable metrics that reflect more complex processes. Level 3 assessments are intensive monitoring that provides quantitative data for developing a more detailed understanding of the relationship between the causes and responses of observed conditions. Landscape-scale assessments are typically implemented statewide or at watershed scales using GIS and remotely sensed data. Landscape assessments are efficient for evaluating wetlands across broad geographic areas and are relatively inexpensive but cannot provide specific information about the on-site condition of any particular wetland. Wetland mapping and classification is needed for most landscape assessments to determine the extent and location of wetlands and identify rare and important wetland types. Wetland stress models can be applied to mapped wetlands to estimate wetland condition based on assessment of key stressors. Stress models can also be used to identify potential conservation and restoration opportunities, such as preserving undisturbed marshes in a watershed or restoring highly stressed wetlands. Wetland prioritization can be used to rank these restoration opportunities by rating wetlands on their ability to provide a multitude of ecological services such as wildlife habitat and water quality improvement. The UGS is working on a variety of landscape assessment projects. We have an active wetland mapping program that is updating mapping using the U.S. Fish and Wildlife Service’s National Wetland Inventory’s mapping standards, and we have developed a functional classification to translate the national wetland codes into more understandable wetland types, such as “open water” and “emergent marsh.” We have also created local and watershed wetland stress models to better understand the distribution of vulnerable wetlands in the state and conducted a pilot wetland prioritization project in the upper Bear River watershed. Rapid assessments are field surveys that are used to evaluate the condition or function of wetlands using simple observable metrics that reflect more complex processes. As the name implies, these assessments use a quick field survey to evaluate primarily qualitative features in wetlands. Rapid assessments can be used to understand current wetland condition, determine sites appropriate for conservation or restoration, and inform regulatory decision making. 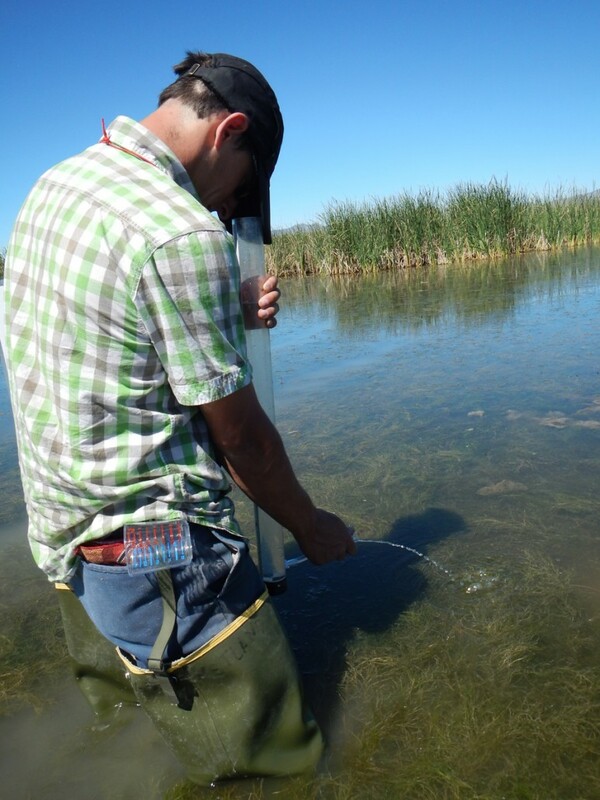 After field-testing several protocols, the UGS developed the Utah Rapid Assessment Procedure (URAP) to evaluate the condition of Utah’s wetlands. URAP uses a series of metrics organized into five categories (landscape context, hydrologic condition, physical structure, vegetation structure, and vegetation composition) to evaluate wetland condition in the field. URAP has already been applied to wetlands in the Uinta Mountains and the Jordan River and Weber River watersheds. The UGS continues to work on calibrating and validating URAP and applying it to new areas of the state. 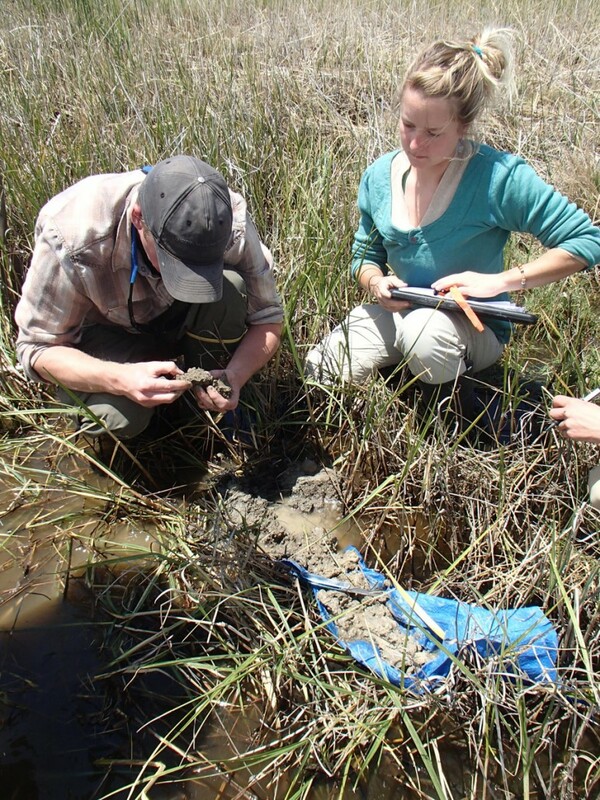 Intensive monitoring surveys are detailed, quantitative field evaluations that comprehensively determine wetland condition using measures such as invertebrate animal counts, plant community data, and water quality and quantity measurements. These assessments require professional expertise, substantial sampling time, and occasionally repeat visits to a site. Information from intensive monitoring can be used to develop performance standards for wetland mitigation and restoration, support development of wetland-specific water quality standards, determine causes of wetland degradation, and refine rapid assessment methods. The UGS collects intensive monitoring data related to site hydrology, plant community composition, and water quality. Shallow wells equipped with pressure sensors have been installed in Snake Valley in Utah’s west desert and at two wetland complexes in Juab County. Data on year-round water levels collected by these sensors can be used to better understand natural and artificial water fluctuations and ensure that wetlands maintain adequate water for sensitive species. The UGS also collects intensive plant community composition data and water quality samples at many of the same sites surveyed during rapid assessments. Plant communities respond to both past and ongoing disturbances that are often difficult to observe during single site visits, such as hydrological alterations, nutrient enrichment, and physical disturbance, making vegetation data useful as a monitoring tool. The UGS is working to compile up-to-date information on the distributions, tolerances to disturbance, and ecological associations of wetland plants in the state.